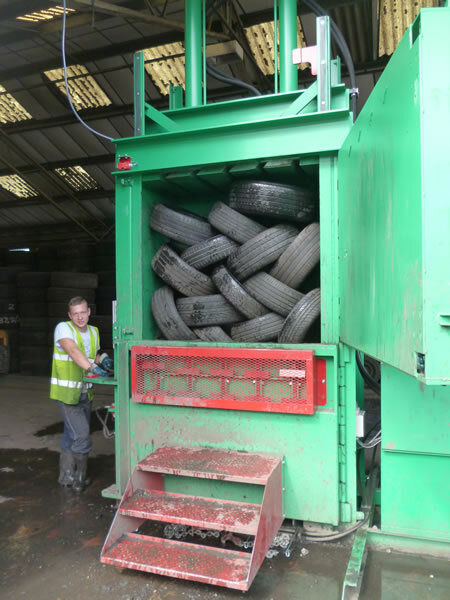 Western Tyres Ltd produce tyre bales to the PAS 108 standard. 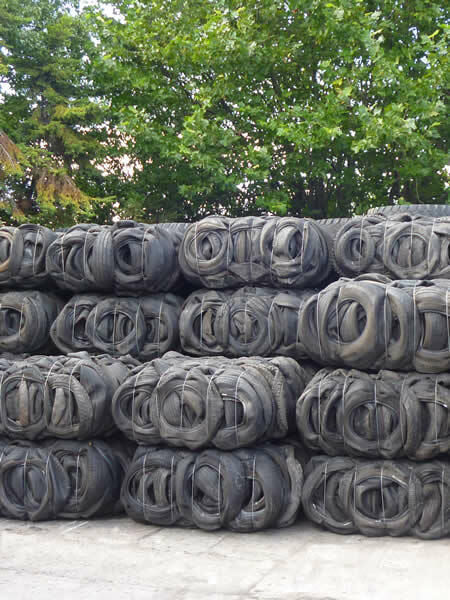 Tyre bales are used in many major projects involving landfill engineering including road construction, land erosion, wall construction, roads for wind farms, riverbanks, ponds and dam construction. The PAS was designed to provide a specification for producing compact tyre bales of a consistent and verifiable quality and dimension. At Western Tyres Ltd we provide a full service from production through to delivery. Complete but damaged and worn tyres are compressed and wire bound to the PAS108 specification. 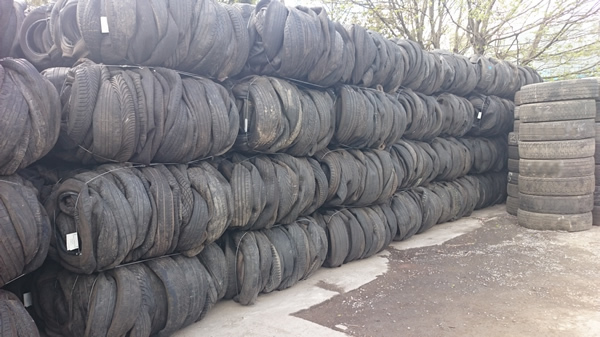 We can meet a need quickly with our stock of Tyre Bales and very large quantities (1000+) are made to order. 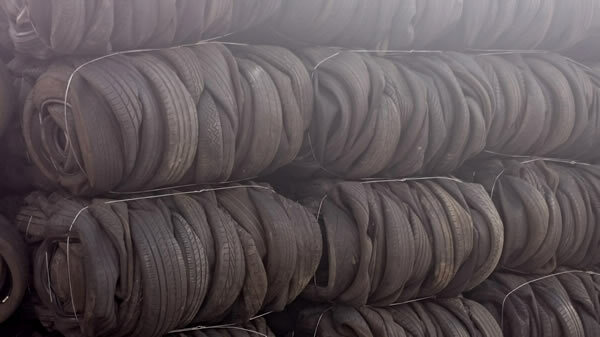 Our own fleet of trucks deliver nationally but we can also ship tyre bales worldwide. PAS108 bales provides a valuable means of reusing these tyres whilst at the same time, reducing the demand for primary aggregate materials in construction. 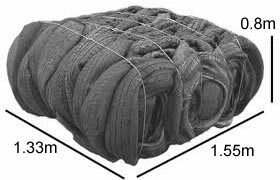 You can view the British Standards Institute specification for tyre bales used in construction. Advantages of using Tyre bales for construction and civil engineering projects. 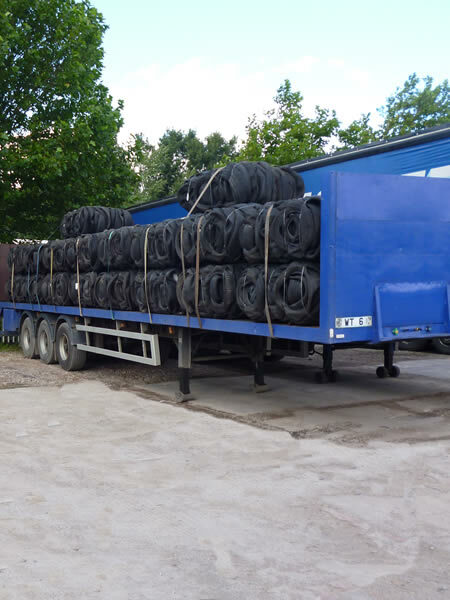 Western Tyres Ltd can transport tyre bales to mainland Europe and internationally. Need a quote for Tyre Bales? Western Tyres Ltd produces PAS108 standard tyre bales for use in civil engineering and landfill infrastruture works.